Service is an integral part of the academic, spiritual, and co-curricular experience for John Carroll students. 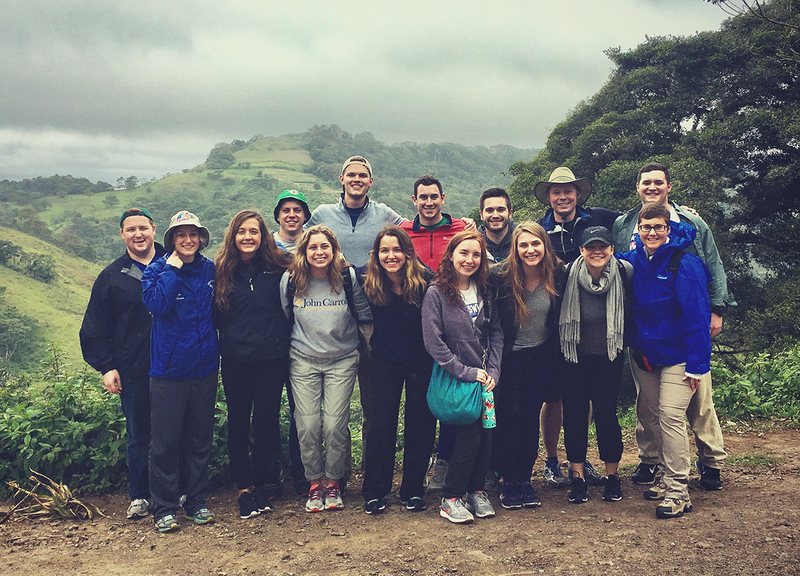 Consistent with John Carroll University’s mission, students, faculty, staff, and alums engage in service activities and immersion experiences. The majority of JCU students (two-thirds of the student body) annually perform more than 115,000 hours of community service. The Arrupe Scholars Program recognizes 20 John Carroll students for their significant commitment to two interrelated values of John Carroll’s mission: intellectual inquiry that demands critical thinking and engaging in social justice and community service that leads to social action. Each student receives a scholarship of approximately $5,000. Carroll Ballers is an award-winning program that combines the game of basketball with a mentoring program at the Cuyahoga County Juvenile Detention Center (JDC). Two JCU students started the program in 2012. It is co-sponsored by the JDC and Arrupe Scholars and promotes character building and good decision-making with the youth at the Center. JCU participants build relationships with the young men through conversation and healthy competition in the gym. Marketing and sales of Equal Exchange Tea & Coffee. An annual Fair Trade Holiday Boutique on campus. An Immersion Experience in Nicaragua focused on developing an understanding of the impact that trade has on the people of Nicaragua, especially the poor. The group analyzes trade from various perspectives in the coffee and apparel industries. JCU’s “We the People Service-Learning Program” places JCU tutors in Cleveland and East Cleveland classrooms to educate students about the U.S. Constitution and citizenship. 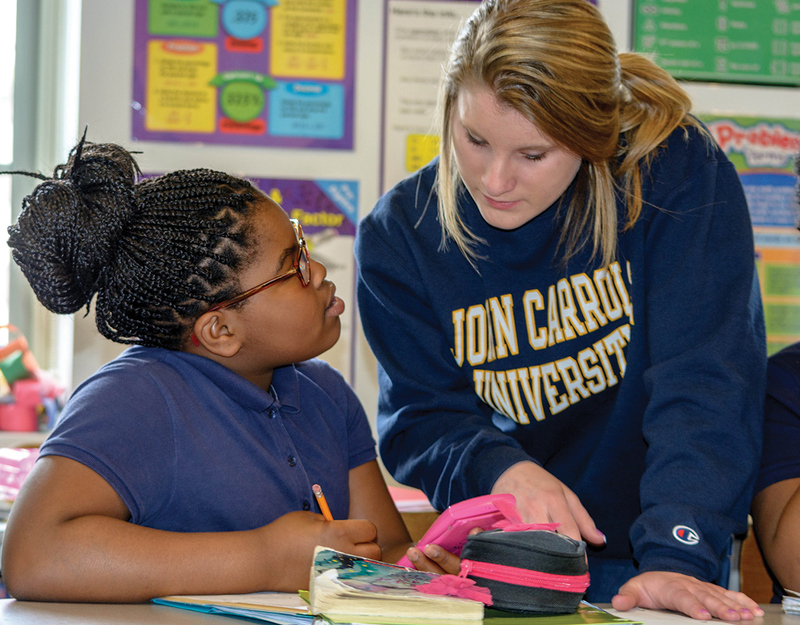 JCU tutors, in teams of three or four, visit their designated classrooms weekly to teach lessons and prepare students for an annual Showcase event held at John Carroll each May. Local professionals, including mayors, judges, and attorneys, participate in the event by assessing the children’s knowledge of the material. 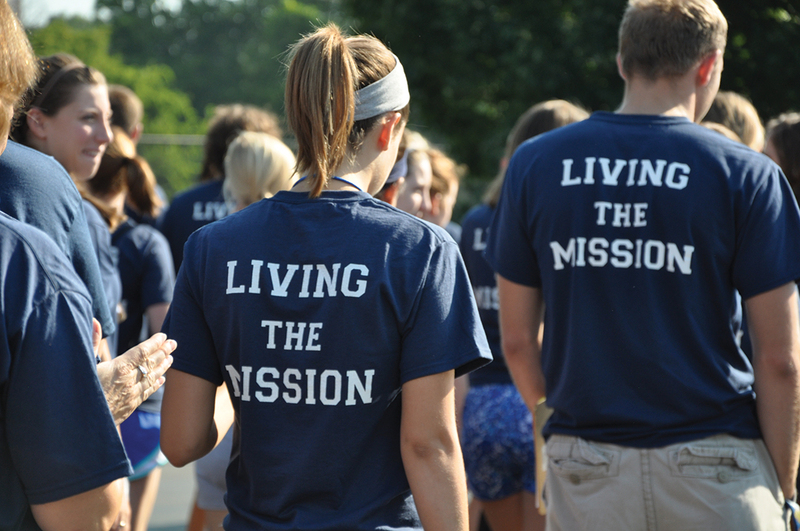 For the 2014-15 school year, 118 students participated in immersion experiences, along with 23 faculty/staff. Past and recent destinations include Nicaragua, Guatemala, New Orleans, Louisville, Immokalee, Ecuador, El Salvador, and Honduras. Participants have served meals, helped build homes, and spent time with families discussing faith, values, and mission. Immersion trips help students learn about the challenges faced by people living in other parts of the country, the world, and in their own backyard. Each year, Campus Ministry offers a variety of retreat and reflective experiences – from community-based gatherings for first year students coordinated by Resident Ministers to an Eight-Day Silent Retreat with individual direction on the Spiritual Exercises of Saint Ignatius. Each retreat seeks to foster students’ understanding, development, and expression of spirituality and faith. Since JCU is a Jesuit university, each retreat incorporates some elements of Ignatian spirituality; that being said, retreats are open to students of all faiths and all those who are actively searching for deeper meaning and purpose in their lives.